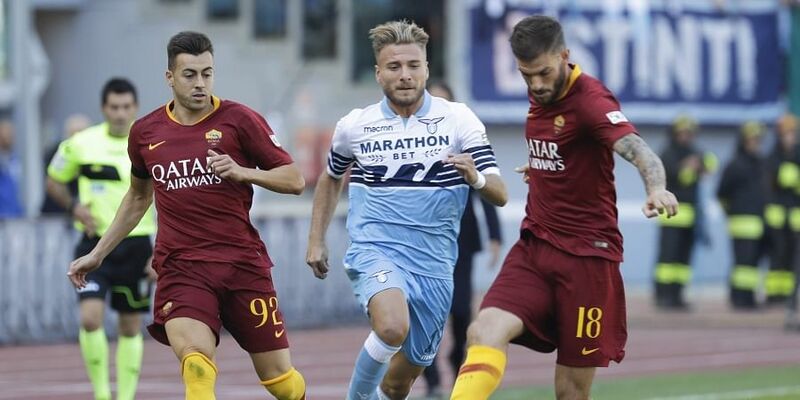 Immobile scored his first-ever goal against Fiorentina to send Lazio third in Serie A with a 1-0 win at the Stadio Olimpico on Sunday. MILAN: Ciro Immobile scored his first-ever goal against Fiorentina to send Lazio third in Serie A with a 1-0 win at the Stadio Olimpico on Sunday, while AC Milan continued their strong form by beating Chievo. Simone Inzaghi's Lazio went into the match looking to bounce back from their 3-1 derby defeat by Roma last weekend, and did just that to draw level on points with second-placed Napoli, who face Sassuolo later in the day. Marco Parolo flashed a shot narrowly wide early on, before Lazio defender Wallace got away with a slack pass as Marco Benassi's effort was kept out by Thomas Strakosha. Milan extended their unbeaten run to eight matches in all competitions as Gonzalo Higuain scored twice in a 3-1 victory over lowly Chievo at the San Siro. Suso teed up Higuain to tap in a 27th-minute opener, before the former Liverpool winger slipped a through ball into the feet of the Argentinian to make it two before half-time. Higuain has now scored six goals in just seven appearances for Gennaro Gattuso's men since joining from Juventus in the close-season. Suso made it a hat-trick of assists as Giacomo Bonaventura collected his pass and drilled home in the 56th minute. Veteran striker Sergio Pellissier, 39, scored a consolation for Chievo, but the visitors remain rooted to the foot of the table on minus-one points after being deducted three by Serie A earlier in the season for "false accounting". Milan sit 10th, but only three points off the top three with a game in hand. Elsewhere, Sampdoria edged out Atalanta 1-0 with a goal from Lorenzo Tonelli to move into the top four ahead of Roma on goal difference, while Parma claimed a fourth win in five outings by winning 3-1 at Genoa.